My family loves scones. I love them too, but it's partly because they're so darned easy and quick. They're versatile, too! We had some leftover Italian sausage, which I thought to put into a scone with some cheese and seasonings. I could imagine these with pepperoni and mozzarella, or dried tomatoes, or perhaps bits of olive and feta. 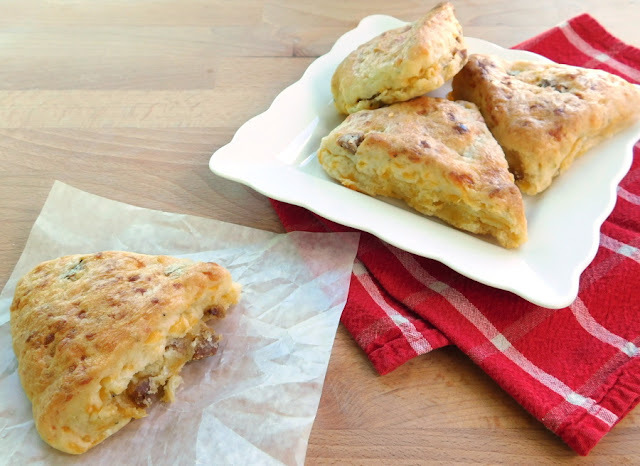 The Spice House's seasonings make a terrific impact on a simple scone. 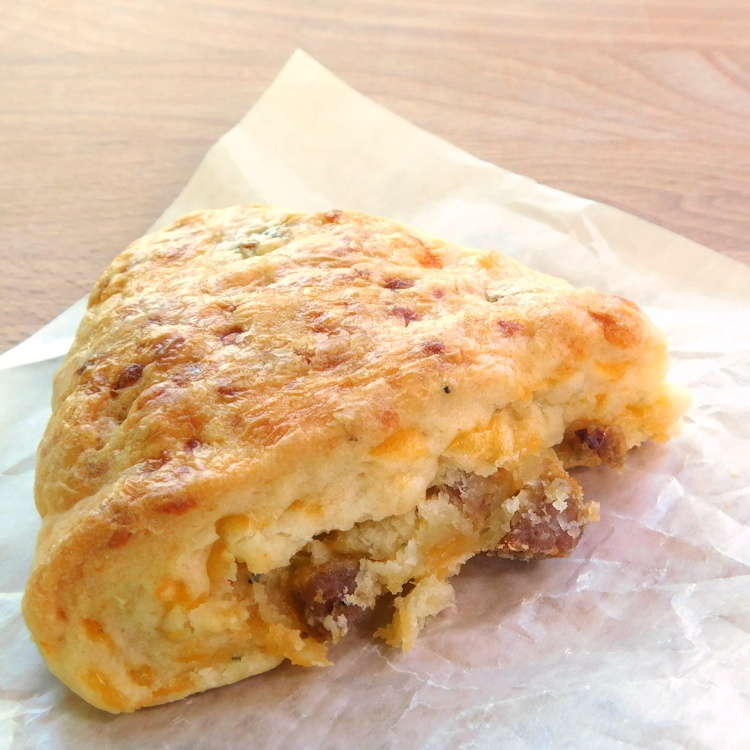 In a medium bowl, mix the self-rising flour, seasonings, crumbled sausage, and cheese. Toss the mixture a bit so that everything is evenly distributed and has a light coating of flour. Mix in the heavy cream with a sturdy kitchen fork. You may need a bit more than 10 ounces, depending on the humidity. Just mix until the dough sticks together with no dry crumbles left out. Turn the dough out onto a floured surface and knead two or three turns to make sure everything holds together. Divide the dough into two equal portions. For each portion, pat the dough into a circle about 6 inches in diameter, and about an inch thick. Cut the circle into 6 wedges, and put each wedge on a parchment-lined baking sheet, leaving about an inch between. Lightly brush the tops of the wedges with cream, to help make a browner crust. Bake 15 minutes or so, until the scones are risen, nicely browned, and cooked through.